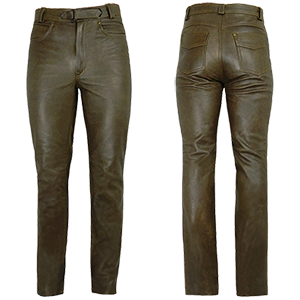 If all you’re after is a classic pair of well-made, plain leather trousers that are suitable for biking and good value for money, take a look at our range. 5 star rated by Bike mag. 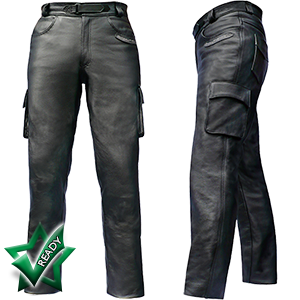 Heavy duty 1.2-1.3 cowhide, zips and stitching. 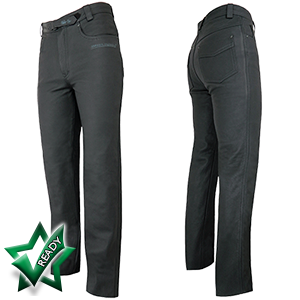 100% Cotton lined for safety and comfort (No friction melting). One piece front legs. 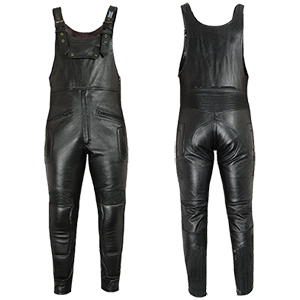 These classic leather trousers are constructed using supple black 1.2-1.3mm cowhide with one piece front AND back legs. The ultimate in comfort and luxury. 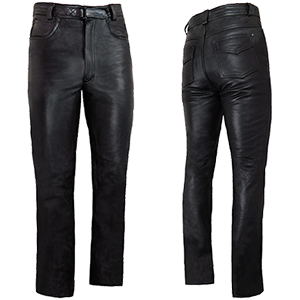 Motorcycle jeans with the classic look of normal jeans but which offer so much more. One piece front AND back legs, no seams across knees. 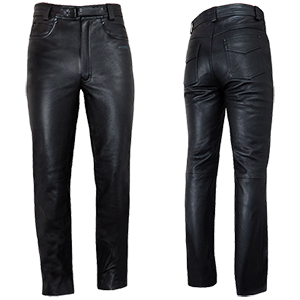 Check out our stunning men's leather bike jeans in a cool matt black finish with Kevlar protection. The look you've always wanted... With safety in mind. As the famous Warrior jeans but made as Bib & Brace. Heavy duty 1.2-1.3 Cowhide, zips, and stitching. Cotton lined.